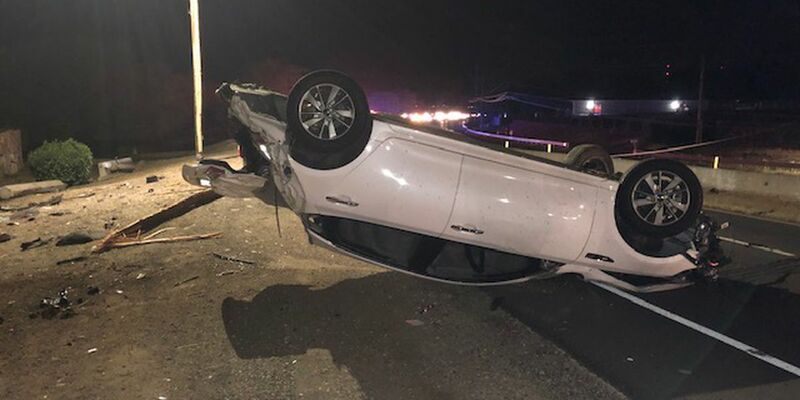 WEST OAHU (HawaiiNewsNow) - All lanes of Farrington Highway in the Ko Olina area have been reopened following a crash late Monday. Honolulu police say the crash occurred shortly after 9 p.m. Photos sent to Hawaii News Now showed a vehicle flipped onto its roof moments after the crash. The crash brought down at least one power pole. Lines were scattered across the highway, which forced the closure of all lanes. At one point, traffic was backed up to the Ko Olina exit and extending further. Emergency Medical Services said two men suffered minor injuries and refused to be taken to the hospital. The Hawaiian Electric Company was also called out due to the reports of downed power lines. At last check, HECO’s website showed that about 12 customers were without power.